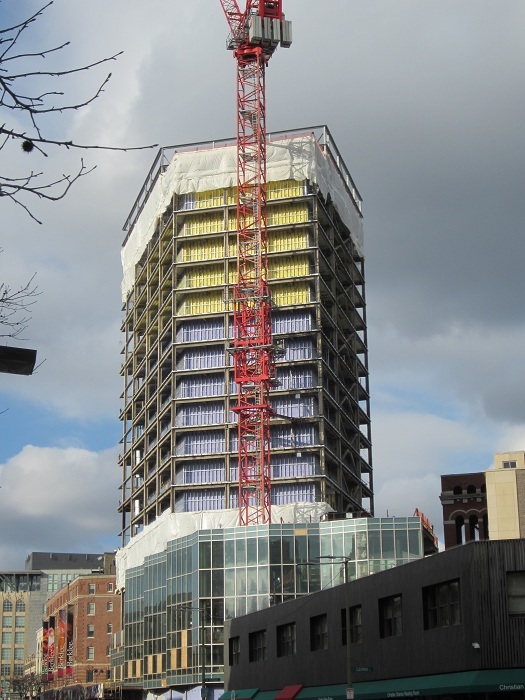 02.18.14 Berklee College of Music's new residential, academic, classroom, recording, performance and campus center tower at 160 Massachusetts Avenue was featured in the Boston Globe over the weekend. William Rawn designed the building with extensive feedback from the students, and the building is described as a "percussion bed" and to be "floating like a melody". Read the entire article at Boston Globe Online.